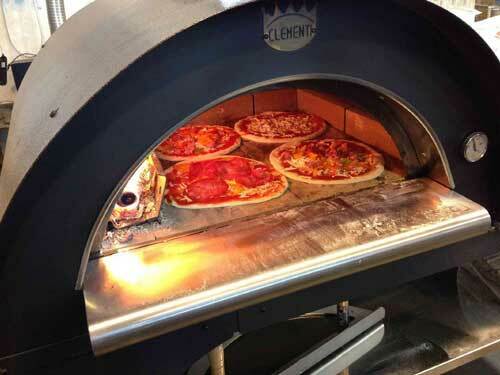 Preparing your own pizza outside is going to be much easier when you have a Forno Pulcinella Pizza Oven. 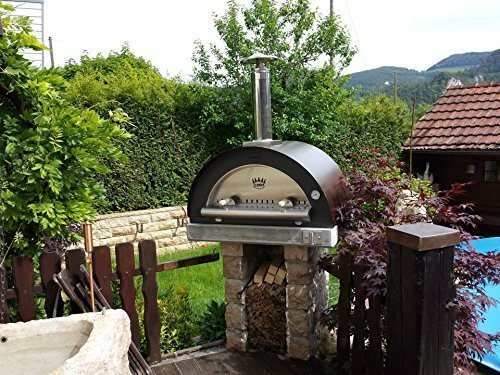 This is an outdoor pizza oven that provides you with a large cooking area (23.5″x31.5″). It has a stainless steel door, a side shelf, and a built-in temperature gauge. It can even be used inside. You get a stainless steel chimney with your purchase. This outdoor pizza oven does not require any assembly, so you just need 4 people to place it on top. Not cheap but makes cooking pizza outside more fun.